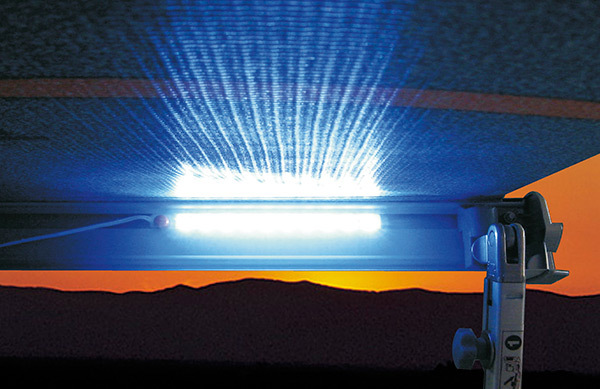 KIT AWNING LED Lighting system to be installed on F45s and F65s awnings. It is composed of two 12V 10 LED low consumption light strips and 5m of cable. Also fits previous models of Fiamma awnings.